Life is more simple and easy day by day as a result of technology and we need to stay up-to-date with new emerging technologies. I'm happy to inform you that there is a new way in Nigeria to withdraw your money from the ATM machine without your debit card being physically present. It sounded like a big joke at first until I personally confirmed it. You know how it feels when you urgently need cash, but your ATM card is at home; there’s money in your account, but you can’t withdraw it because you need an ATM card. Nigeria’s largest payment processing company - Interswitch, has launched "Verve World", an app which enables cardholders to store all their payment options and to carry out everyday transactions without physically using their cards. You can now withdraw the cash in your account without using an ATM card, all you need is a Verve Paycode. 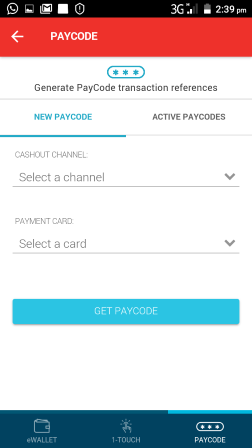 Verve Paycode is a secure code that can be generated from cards stored in your eWallet (Verve eCash). Verve eWallet can securely store any card from any Bank. 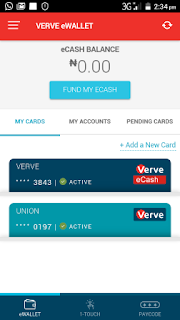 Verve eCash is a virtual payment card that allows you to transact in every way you would with a physical card. With eCash, you no longer need card number, OTP, CVV2 or expiry date to complete your online transactions. Recharge, Pay bills, Transfer funds and even withdraw cash from an ATM or make POS payments directly from your eCash. Download Verve World app from the link below to get started. 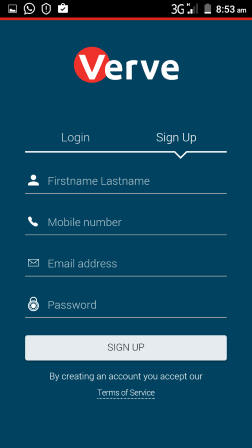 Open the Verve World installed app, login with an existing Interswitch account if you have an account with Interswitch before and if not, choose Sign UP and fill the necessary detail, add the details of your ATM card on to the Verve World App and proceed. After successful registration, you should get this notification and an accompanying email from the Verve International team with “Welcome to Verve eCash” in the subject line. Click the button that says ‘Fund my eCash’. On the next screen, you will be required to enter the amount you want to withdraw. After funding the eCash, you will get a notification to that effect. 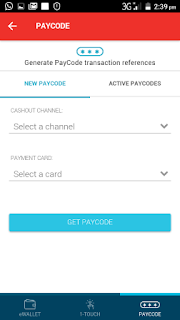 Under every page, there is the eWALLET, 1-TOUCH and PAYCODE options, click on “PAYCODE” to generate. After selecting PAYCODE, the below page will be displayed. 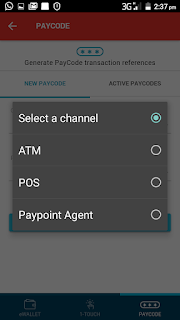 In selecting a channel, there is the option of ATM, POS or Paypoint Agent. Choose ATM as it is our case study for this post. In selecting a payment card, choose your already funded Verve eCash or select from the stored Cards. The cash-out pin is the one you are going to input in the ATM and your card pin is, of course, your personal card pin. You have insufficient balance in your account. You do not have a token– physical or software –and so cannot use the card online. There is not sufficient internet connectivity. Cardless ATM Withdrawals DOES NOT work on every bank’s ATM (that is the machine). The Machine that I know, are: ATMs belonging to Zenith Bank, Stanbic IBTC Bank, Guaranty Trust Bank and Fidelity Bank are compatible with the Verve World App and Verve Paycode. If all the above conditions have been satisfied, then you are good to go. Now using the ATM is the really tricky part and seems to be where most people are stuck. Most ATMs have the options of cardless operation, to be sure, ask the orderlies around. Or walk up to any one of them and press the “ENTER” key multiple times. It should display the option. 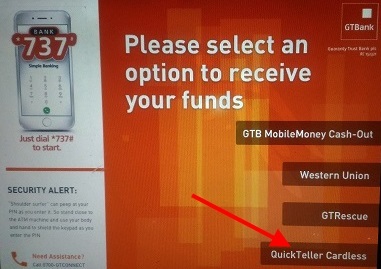 GTBank ATM has already been used for the experiment, all you need is to follow the below instruction according. 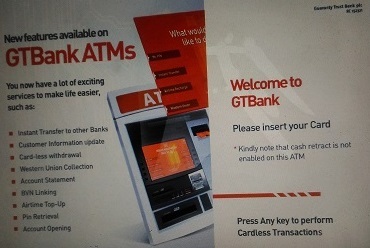 If you look closely at the display above, it gives the instructions on performing Cardless Transactions; that is, using the ATM to withdraw without ATM card. Even though the instruction makes it easier, some ATMs do not spell it out, so just press the “ENTER” button on the keypad twice, and if it does not still bring out the option, then the machine is probably not configured for Cardless Transactions. The next screen after pressing the “ENTER” key will be self-explanatory as the tag of your selection will include Quickteller. The Verve World App, Verve Paycode and Quickteller are all products of Interswitch, so they are in one family. 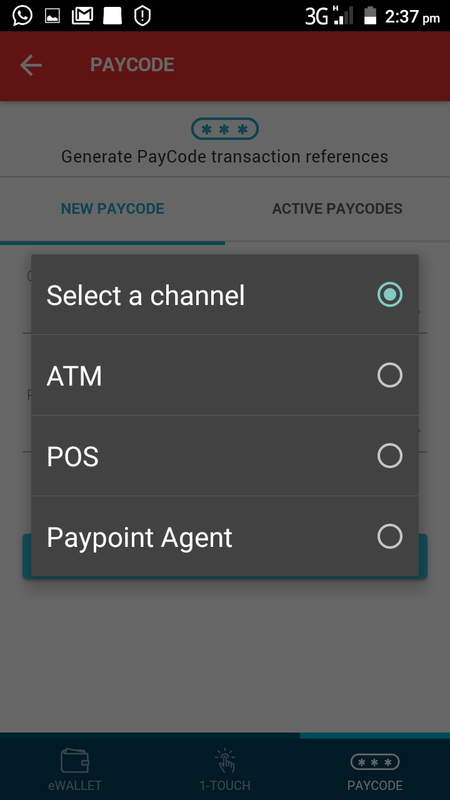 After selecting the Quickteller option, this screen comes up and prompts you to enter the already generated code, then the ATM proceeds to produce the exact amount of cash that was entered when generating the Verve Paycode on the Verve World. Simple as that. 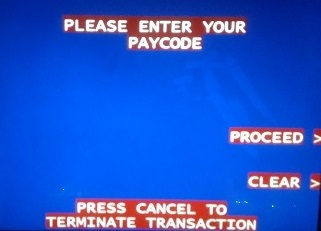 At a Stanbic IBTC ATM, press zero “0” on the keypad to be taken to a page that has “Quickteller Cashout” written on it and the machine will give a prompt for the already generated Verve Paycode. Note: It includes a N100 surcharge at cashout. Have Questions to ask or have anything to contribute, kindly use the comment form below. More so, use the "Share", "Like" and other Share buttons to share this post with your friends.